There's nothing cooler than a gas or brake pedal shaped like a bare foot! 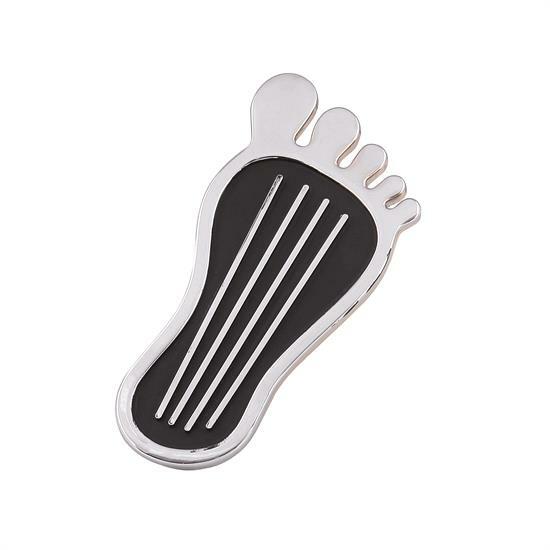 Mr. Gasket's original foot shaped pedal pad has a universal fit, for your street rod to your golf cart. Dress up or dress down your ride with this pedal pad. Chrome plated aluminum with black accents.